MADISON, Wis., April 12, 2018—The following statement was issued today by Bill G. Smith, Wisconsin state director of the National Federation of Independent Business, following U.S. Speaker of the House Paul Ryan’s announcement, yesterday, that he will not seek re-election. “From the day he and I toured several small businesses together when he first ran for Congress in 1998, I could tell Main Street enterprises had someone special in their corner. We endorsed him in that election and in every election since and have never been disappointed. “He has been a steadfast advocate for the small-business community of Wisconsin and the nation, a tireless fighter for issues that promote small-business growth and prosperity. 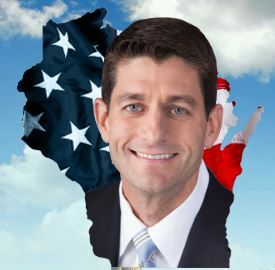 I thank Paul Ryan for his distinguished service, congratulate him as he leaves public office, and wish him and his family our very best in the years ahead. Celebrating its 75th anniversary, the National Federation of Independent Business is the Voice of Small Business, taking the message from Main Street to the halls of Congress and all 50 state legislatures. NFIB annually surveys its members on state and federal issues vital to their survival as America’s economic engine and biggest creator of jobs. NFIB’s educational mission is to remind policymakers that small businesses are not smaller versions of bigger businesses; they have very different challenges in remaining open.